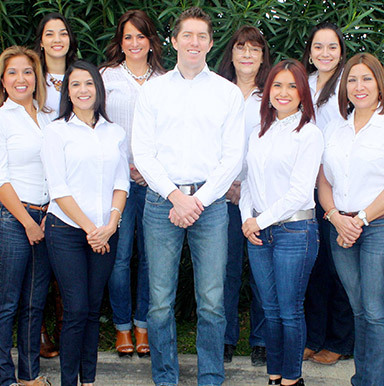 No matter what the ages of your children, the dentists at Los Fresnos Dental Center have the training and experience to care for their smiles. Even if you have a child who is not in school yet, a dental checkup is important. A first visit should happen by the time they are one year old, so one of the dentists in Los Fresno can gauge the development of the teeth, their bite and their jaw. Then, children should be seeing the dentist for regularly scheduled six-month checkups by the time they are two or three years old. Each child is different, of course, so we are careful not to “test their patience.” We want your child to have pleasant memories of their first visits to the dentist, so oral and dental health becomes a lifelong pursuit. A child’s dental checkup is quite similar to an adult’s. One of our gentle hygienists will clean and polish their teeth, examine their gum tissue—yes, your children are just as susceptible to gum disease as you are—and take digital x-rays annually in order to see any tooth decay that may be hiding between teeth or just below the surface of a tooth. From one appointment to the next, your children’s dentist in Los Fresnos will continue to monitor the development and changes in your son or daughter’s smile. If the time comes that we think your child needs to see an orthodontist, we will be able to give you a trustworthy referral. If your child is active in any kind of sports activities, then the children’s dentists in Los Fresnos are able to prescribe a custom-fitted mouthguard. Wearing this comfortable appliance protects your children’s teeth, lips, tongue, cheeks and gums from possible injury due to a hard fall or blow to the face. 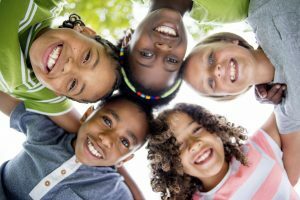 Don’t let another day of summer vacation go by with scheduling your children’s dental checkups. Contact Los Fresnos Dental Center today!